It’s not just a puddle – it’s a pool. Maybe a really big pool. It’s so big, you might even call it a flood. Severe areas of standing water or flooding can block your driveway, destroy your garden, or render your yard unusable. 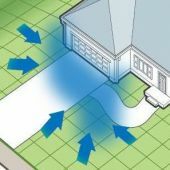 In some cases, the standing water seeps into your basement or crawlspace. It can also pose a hazard to young children. Lack of adequate drainage, improper grading, failed drainage systems… different things might cause standing water or flooding around your property. We examine the problem areas and the surrounding environment to determine the exact cause of your standing water problem. Then we design and install a custom exterior drainage solution. This is the solution to many flooding or standing water problems: collecting stormwater and moving it away from problem areas. When the surrounding landscape forces water to collect in problem areas, we may apply grading corrections to restructure the land. 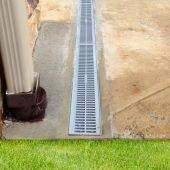 Do you have a once-reliable drainage system that no longer prevents flooding? We install durable PVC replacement drainage systems designed for a lifetime of performance. When gutters and downspouts don’t operate properly, they may cause or contribute to standing water. 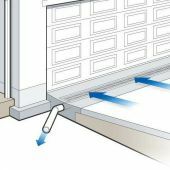 Smart gutter and downspout corrections help channel water away from problem areas. In some cases, a beautiful landscape or hardscape solution can complement or even improve a drainage correction. As needed, we can apply strategic landscape and hardscape finishes. We come to your home to discuss the problem. Show us where water is accumulating and share your thoughts on when, why, and how these conditions developed. We examine your home, yard, gutters, downspouts, and drainage features. 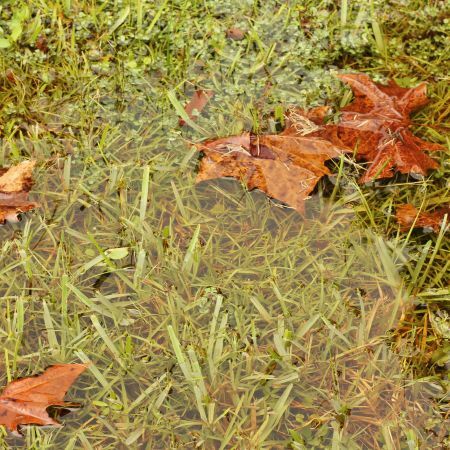 Ultimately, we determine why large areas of standing water accumulate on your property. Using insights from our analysis, we propose specific drainage corrections. To help you understand our plan, our proposals often include pictures and/or color-coded diagrams. On a scheduled date and time, we take action. 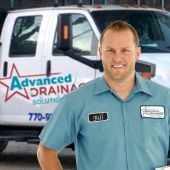 Our team installs a drainage solution designed to channel water out of – or away from – your problem areas.